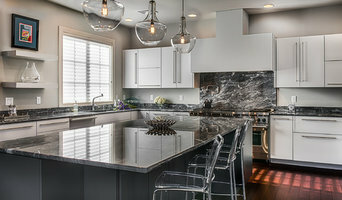 Serving Lehigh Valley homeowners since 1908, Morris Black creates dream kitchens and bathrooms. Come stop by and visit our spacious, wonderful showroom — a great source of inspiration for your kitchen or bath project. Ask to talk to one of our accomplished, talented designers. Each of our clients is paired with a designer from our award-winning design team who will walk you through every step of your kitchen/bath project — from determining your wants and needs for your new space ... and thoughtfully designing the area ... to helping you choose the appropriate cabinetry and materials ... and overseeing the final installation, conducted by our own in-house trained installers. We leave nothing to chance and present you with a detailed outline of how your project will proceed — from our initial meeting together to the day you turn on the faucet in your new space for the very first time. We work with both new construction and the remodeling of existing bathrooms and kitchens and are adept at working within any budget — from modestly conservative to lavishly decadent. 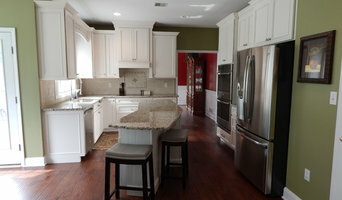 In addition to creating the finest, aesthetically amazing kitchen and bathroom work in the Allentown - Bethlehem - Easton, Pennsylvania region, we boast quite a bit of experience designing and creating other vital, unique rooms of your home such as mud rooms, bars, "mancave" areas, studies and libraries. Please stop by our Allentown showroom today to see stunning examples of all the variety of work we do. For the past 15 years, Adam has enjoyed partnering with homeowners to achieve their dreams of a more beautiful, personal and enjoyable home. His designs can be found across the Lehigh Valley, Metro New York, Florida and Connecticut. Clients often remark about his patience and creativity as he guides them through the complex and often daunting process of designing a kitchen they truly love. Adam finds inspiration from his background in the arts. He holds a BFA in Studio Art and an A.A.S in Kitchen and Bath Design. In addition to his academic work, he has also earned AKBD certification from the National Kitchen and Bath Association. 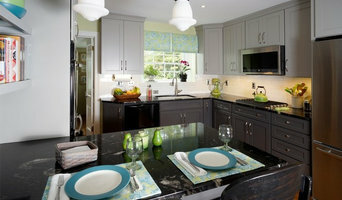 I am a Certified Master Kitchen and Bath Designer, (CMKBD). 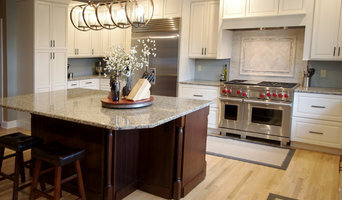 I specialize in design and installation of Kitchens, Bathrooms, and cabinetry throughout the home. My team at Morris black Designs includes an associate designer, a production coordinator, and installers. Maui Kitchens Inc. is a full-service custom remodeling company who services residences in Lehigh Valley and surrounding area. We have over 30 years of combined experience in the industry. We realize that woodworking - including cabinetry, millwork, doors and trim - are critical elements of the overall design of a home, as well as, a very influential part of the construction process. Our mission is to be a valuable resource for Home owners to realize their design vision, and to complete the project with the finest quality and on schedule We offer professional kitchen and bathroom designs, floor to ceiling installations, we even paint! Serving New Jersey, New York, Connecticut, Pennsylvania, Massachusetts, Rhode Island, Delaware & New Hampshire. Since 1979, our family of experts has designed, manufactured, installed and refaced more than 50,000 beautiful kitchens and baths. Lehigh County's Custom Kitchen & Bath Remodeler Visit Our Showroom! Danielle has been designing client’s dreams since 1989. She has worked for several different kitchen and bath retailers in the area, as well as a local builder. She has gained a vast wealth of knowledge and experience over the years with a true “hands-on” approach to her designs, as well as managing many projects from start to finish. Beautiful, functional rooms don't just happen by chance. Design does matter! Danielle has the experience to manage every design detail of your project. From the swing of every door to the reflection of every light. Trust in someone that's been there and done that. Someone that keeps up to date with all of the latest products and technology. Someone that takes the stress away from the client and takes care of everything. That someone is Danielle of Design Intervention. Design Matters! It's time to transform that outdated room into the room you've always wanted. Take that first step and contact us at (215) 458-2591 or click the "Contact Us" button to send us a message. Your home is too important to wait! 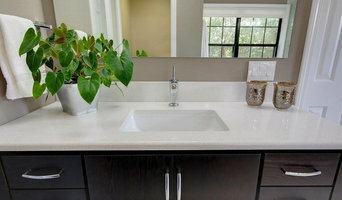 Ron Stiner, Allied ASID/ Thomas Kitchens, Inc.
Thomas Kitchens, Inc With over 50 years of experience Thomas Kitchens, Inc. offers several lines of fine cabinetry, countertops, appliances, lighting, and plumbing fixtures. Our hours of operation are: Monday thru Friday open 8am until 5pm Saturdays open 9am until 1pm Closed Sundays and Major Holidays Other appointment times could be considered after regular business hours. *Authorized Fieldstone Cabinetry Dealer* Serving Chester County since 1990, we are dedicated to the complete satisfaction of every customer. There is no need to sacrifice on service, design or quality of the products you choose for your project. We take pride in providing the best value and service available for your investment; from unique Kitchen and Bath designs to complete installation, our award winning designs take shape as artistic and functional creations. Tobias Design existed as a dream long before it became a reality. To be fair, others have acted on the same dream. But what makes the origination of Tobias Design such a remarkably good story is the dreamer herself. Lisa Tobias loved design so much that she gave up a career as an actuarial consultant in New York for it - a huge risk for someone who made a living minimizing risk. And if that wasn't remarkable enough, she brought with her a specialized skill set that is a welcome rarity in this business. An analytical whiz, a creative dynamo, and a natural people-person, Lisa makes the design process not only manageable, but dare we say, a joy. Clients come to Tobias Design because they want their kitchens or bathrooms to be a unique reflection of who they are. Let’s be clear, there are a finite number of styles. But the number of ways they can be applied to improve form and function is limited only by the imagination. And therein lies the opportunity to do something fresh, unexpected, unpredictable, and truly unlike anything else. So back to your dream. If it involves your kitchen, bathroom, or frankly any area of the house, Tobias Design can bring your dream to life, beautifully.